For most travelers, hurricane season is a time to lay low on tropical travel plans and avoid the Caribbean. For others, it’s a great opportunity for an affordable and uncrowded fall getaway, as long as it’s covered by travel insurance. If you’re willing to gamble on beach weather over gale-force winds, you might find yourself in Puerto Rico between July and November. No passport or currency exchange required. I had the good fortune of sunshine and 90-degree weather during my September trip to the island, but that’s not always the case. Here are the must-see spots the American territory has to offer during its low season, if you’re feeling lucky. The 16th century defense forts of San Felipe del Morro, San Cristobal, and San Juan de la Cruz form a sea wall through which the Christopher Columbus-era Spanish controlled all access to the Caribbean. This site, known as El Morro, is San Juan's busiest tourist trap. However, during mornings in the low season, visitors can explore the fort without the crowds. Walking its original passageways and dungeons without camera shutters snapping or chatter echoing around you can create the illusion that you've traveled back in time. Perch inside one of the fort's picturesque lookout points, or take in centuries-old drawings scrawled by prisoners and pirates on El Morro's dungeon walls. Steps from El Morro, Old San Juan perfectly encapsulates Puerto Rico's twist on Spanish-colonial architecture. Multi-colored homes line the blue cobblestoned roads, and no two on the same block bear the same shade. The picture-perfect neighborhood is even more Instagram-worthy in the months that grant it far fewer tourists. The UNESCO World Heritage Site is also home to many local and fusion-inspired Puerto Rican restaurants. Stop by Barrachina, which claims to be the birthplace of the PiÃ±a Colada. However, San Juan's Caribe Hilton makes the same claim. In all likelihood, they're both right—legend has it that a worker employed by both spots created the frosty rum drink. Regardless of its origin, it's sure to relieve you from the island's year-round heat. Try the mofongo, a Puerto Rican dish of fried plantains topped with meat, at Oceano Lounge in nearby Condado. For a modern twist on Puerto Rican dining, head out to Waffle-era, an eclectic tearoom with delicious variations of sweet and savory waffle combinations. If you're looking to explore a neighborhood off the beaten path, head to Pinones. A seaside stretch of food kiosks and shopping spots, this neighborhood in nearby Carolina is frequented mainly by local families. A boardwalk, tidal pools, and sand bars entertain young beachgoers, while street-side food vendors serve up delicious alcapurrias (fritters), rum drinks, and Creole food. The gorgeous backdrop of a crystal-clear Caribbean ocean makes rental bikes an ideal way to explore the area, which can be reached by bus or rental car. Puerto Rico is a conveniently compact island with regions that cater to every type of traveler. Venturing beyond bustling San Juan is a must, and the first stop for more laid-back tourists should be Ponce. From the quirky Parque de Bombas to the refined Museo de Arte de Ponce, Puerto Rico's fourth-largest city has plenty to offer. Ponce sits on the island's southern coast, and is home to the centuries-old Serralles family—the founders of Puerto Rico's best-selling rum, Don Q. Travelers driving by the family's former sugar cane plantation at the historic Disteleria Serralles can small the fermenting molasses, and the rumor is that hard-hat tours where visitors can taste rum straight from the barrel are soon to come. A nearby museum inside the family's historic mansion holds tours to educate visitors about the family's history, and the home's perch atop one of Ponce's high hills offers spectacular views of the entire city. For the ultimate rainforest adventure, head west of San Juan to Arecibo. This mountainous region is home to the Tanama River, which carves through caves and has waterfalls and rapids galore. Spelunking, rock-climbing, and body-rafting expeditions are the ideal way to see the area's untouched natural beauty. Explora PR charters educational body-rafting tours daily, offering an alternative way to sightsee. Once you conquer the steep forest hike and rappel the 120 feet down the rock face into the river's water (a well-deserved cool-down after the humid trek), floating downriver on your back is the best way to look up and view the waterfalls and lush surroundings. This unique adventure-travel tour is slow-moving and educational, which makes it perfect for all fitness levels. But it definitely is not for the high-maintenance. You're sure to leave with a few bumps and bruises from floating through rapids, and are likely to ruin the athletic sneakers participants are required to wear. I found the experience to be well worth the minor black-and-blue souvenirs, and left feeling much closer to nature than I've ever been. If Puerto Rico is where mainlanders go to relax, Vieques is where Puerto Ricans go to relax. The remote paradise—albeit just eight miles east of the main island—is perfect for swimming in the crystal-clear sea by day (try the W Vieques for a splurge-worthy spa weekend with snorkeling included) and exploring scenic towns like Esperanza by night. The island is full of wild horses accustomed to picture-snapping tourists, and most of the tiny island is easily navigable by rental bike. If you really want to see the entire island, opt for a flight to Vieques on a tiny eight-seater plane via Vieques Air Link, rather than the local ferry. Breathtaking views dominate the 25-minute trip from San Juan, and will save you time so you can hit the ground running—to the beach. Bioluminescent bays are brackish bodies of water home to microscopic dinoflagellates that glow, making the water look like something out of a sci-fi movie. Three of the world's five bioluminescent bays are in Puerto Rico, and the brightest one is in Vieques. Any of the three bays are likely worthy of a visit, but I recommend a trip to the brightest one, which I had the pleasure of seeing via kayak. Low season is perfect for avoiding the excursion groups of up to 40 tourists (my group was made up of only nine people). There's a lot to consider before setting out on a nighttime kayaking expedition in the aptly-named Mosquito Bay, but the once-in-a-lifetime experience is a true must-see. The bay's brightness depends on the amount of moonlight present at the time of your visit, but even under the almost-full gibbous moon during my kayaking expedition, we could see glowing waves being pushed from our paddles, and radioactive-looking fish flitting around below us. Just don't forget the DEET-free bug spray, which will protect you from the ravenous mosquitos, without threatening the microorganisms that light the water. The local Paradores de Puerto Rico—a network of small inns owned only by locally-based Puerto Rican families—are an ideal option for tourism outside of San Juan any time of year. 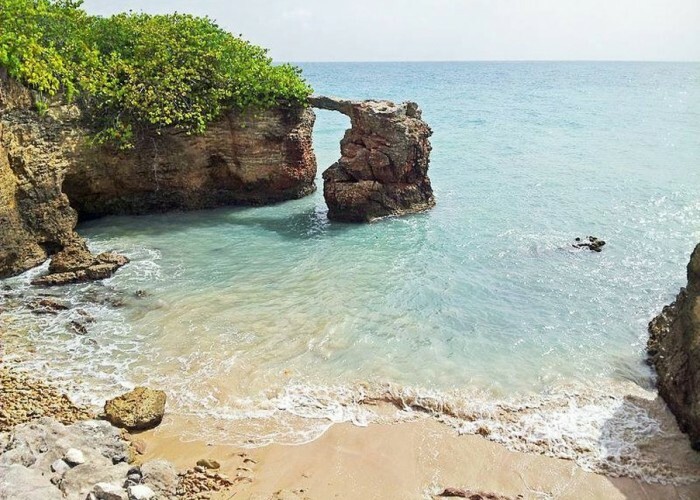 But because the lesser-known lodging options are already in more remote locations like Combate Beach in Cabo Rojo, you can have the nearby beaches and rainforests virtually to yourself during low season. Pristine waters on the west coast of Puerto Rico are ideal for snorkeling since they're home to large tropical fish. If you're not into fish, rainforest mountain biking, paddle boarding, and sea kayaking are also popular here. The types of paradores vary, from traditional hotel-esque properties to unique eco-suites made from recycled shipping containers. Back near San Juan, El Yunque is another one of Puerto Rico's biggest tourist traps transformed during low season. The national forest is home to waterfalls, hiking, a lookout tower, and a nearby beach. And swimming in the famed La Mina Falls is certainly at its best when you can have the gorgeous pool mostly to yourself. 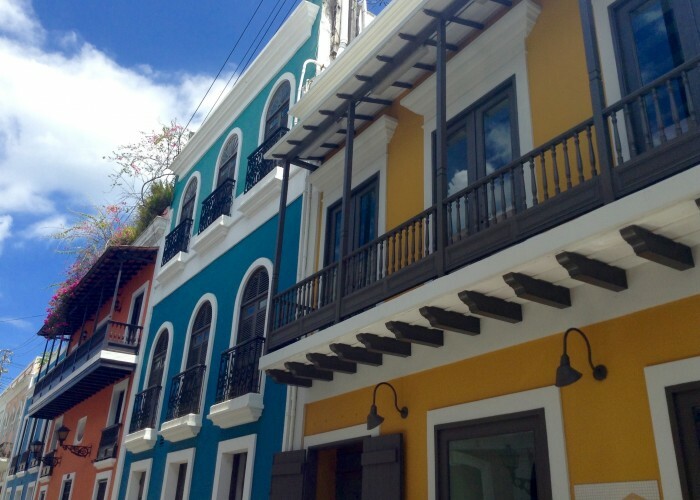 Associate Editor Shannon McMahon traveled to Puerto Rico courtesy of Puerto Rico Tourism Co. Follow her on Twitter @shanmcmahon_ and on Instagram @shanmcmahon.